With support for Windows XP set to end in April 2014, time is running out on support for Windows XP, it will end in April 2014. The German thin client market leader IGEL describes five alternatives to the risks involved in doing nothing. IGEL Technology is advising customers to check what options are available in order to avoid potential security loopholes and compatibility problems. Along with new PCs and notebooks with Windows 7/8.1, tablets, zero clients and thin clients are all possible solutions. However, software thin clients are another, particularly cost-effective alternative. The IGEL Universal Desktop Converter 2 (UDC2) software allows you to combine any PC hardware and thin client operating system with centralized remote management. As far as operation is concerned, the only requirement is the decentralization of applications, e.g., in a private cloud. Setting up or expanding such a cloud can be financed at least partially by the savings achieved through not having to invest in new client hardware. After April 2014, there will be no new updates for Windows XP. Experts are warning of a wave of cyber attacks on the widespread operating system. IGEL describes five alternatives to the risks involved in doing nothing here. Computers that have been running with Windows XP for many years often cannot be updated satisfactorily to Windows 7 or 8.1. In these cases, the OS upgrade requires considerable investment in new, more powerful hardware. The amortization cycles remain equally short, and the outlay for maintenance, administration and support is similar. This is not an efficient solution, especially for organizations with multiple sites. Because they allow both mobile and stationary use, laptops and notebooks are becoming an increasingly popular option for companies. However, they are not entirely suitable as a general replacement for XP computers. The reasons for this include considerable hardware investments, inefficient management, short investment cycles as well as security risks and potential loss. The fact that they are used in a mobile context also means greater investment in IT security. Tablets are very much in vogue at the moment, but they are not entirely suitable for business use. Although various office accessories, e.g. keyboards, are now available, they are very costly. Numerous unsolved problems such as the lack of peripheral interfaces also go some way to canceling out the benefits of high mobility. Without an external screen, working for long periods is not reasonable from an ergonomic point of view. The biggest hurdle, however, is administration. With the exception of Windows 8, satisfactory remote-management solutions are available for only a very small minority of mobile operating systems. If a centralized or virtual IT infrastructure is already planned or in place, XP computers can often be replaced by thin clients or zero clients. This way, the overall desktop costs compared to a non-managed PC can be reduced by up to 70 percent in the long term. In the case of IGEL Universal Desktop thin clients, it is even possible to configure all settings automatically from a remote location. Thanks to the long operating lives, the investment cycles for the client hardware can be extended from three or four to over six years. The disadvantage: investments in new hardware are necessary here, too. 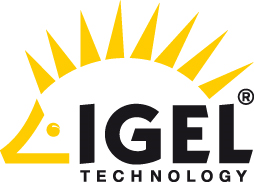 As a fifth and particularly low-cost alternative, IGEL recommends that companies check whether they could continue using their existing hardware with the help of a thin client operating system such as IGEL Linux 5. For existing Windows XP computers, this also means an improvement in performance, since IGEL Linux 5 requires far fewer system resources in spite of its comprehensive video support. Instead of investing in new client hardware, companies could use their IT budget to set up a futuristic centralized or virtual IT infrastructure (private cloud). The standardization of client hardware is simple. With the help of the IGEL Universal Desktop Converter 2 (UDC2), a leading thin client software in many countries, the IGEL OS can be installed on virtually any PC hardware: on existing and new, stationary and mobile PCs, nettops or all-in-one PCs. Notebooks and laptops can even boot the system temporarily from a USB stick in addition to a local Windows system. With the help of software thin clients, all PC-based end devices, including management and support, can be standardized. The desktop administration outlay is drastically reduced, unnecessary electronic waste is avoided and the life cycle of the client hardware is extended. The part of the IT budget earmarked for hardware investments can be saved or spent elsewhere. The costs incurred by the solution itself are low. The UDC2 license is available for just €59.00 (net end customer price) and this includes the sector-leading IGEL Universal Management Suite (UMS) remote management solution. With the help of the UMS, all IGEL software/hardware/zero thin clients and 100 percent of the settings can be remote-administered in a standardized manner.